Ever dreamed of having a powder filled ski holiday with your closest friends and taking over the entire lodge and relaxing in the peace and quiet of a remote getaway? Many of our guest are doing exactly this. We recommend private tours that are totally customised according to the group wishes. 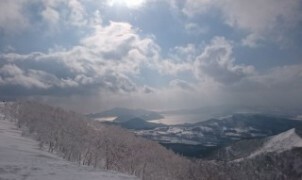 We are able to tailor make packages that combine skiing in several resorts and backcountry spots. Group of friends can book a private tour that is totally customised according to the group wishes. We are able to tailor make packages that combine skiing in several resorts and backcountry spots. Providing you the best guides – both snowboard and ski experts will maximise your satisfaction. 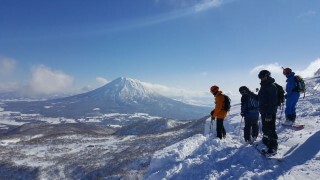 You want to add a day or two to fulfill your dream doing Cat- or Heli-Skiing, you got it – We’ll introduce you to several best operations in powder filled region of Hokkaido. Our goal is to make your trip planning as easy and convenient as possible. In order to give you the flexibility we can offer a trip start day that suits you the best. In addition, we offer trips of any length from mid December until late March. For accommodation – Whether you want it with ski-bum style, private cottage in the woods or more upscale option, we have it all. In the end, flexibility is what we are well known for. Please contact us info@paromcamps.com to discuss a fully customized program and exclusive lodge booking.